Status: In the building with three other people with a pretty strong barricade and a hope in hell. I wish to join the 10 MFH group seeing as they accept any players. I like how you operate so close to Dunnel Mills an apparent safe heaven. I just wonder why there are so many zombies to the south east corner of the city as of now. Its interesting looking at the map later. I will probably become a fighter for you. Hey, i saw the map and all the zombies over there. Although its fine in the west, i dont think it will be soon, because by looking at old maps, we could have an impending invasion. Also, how many people are even in Dunnel Hills. Are they a bunch of survivors and no zombies? 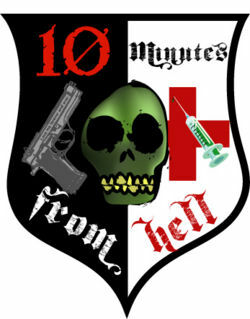 anyway, welcome to the 10MFH forum, hope you get in (I'm still waiting too). I'm a new member too, hope to see you around! From what I understand (seen), most of the buildings have been barricaded heavily and there are a few scattered groups of zombies in certain buildings. It seems very secure and have been able to ender a few safe buildings so far. Though I do need more items and want to continue the search. See you tommorow at around 3, damn school. Molebank is a bit less safe right now as we have a current influx of zombies. It is not the worst we've seen, though, so try not to worry. You are welcome to join us as a potential member with the understanding that the current conditions may not be ideal for a new player. I have hopes that this situation is short-lived, however, and one advantage of the situation is that you may be able to build up XP a bit quicker to get more skills - while you are alive, that is. Can you give me your UDID so we can get started processing you? Just click on your character name in game and it will bring up your profile. Copy the link in the address bar and post it here. Thanks!